So how do you get that same BBQ vibe without any animal products? The key is to get creative and make it fun! Read on for five tips for throwing the best plant-based Memorial Day BBQ ever.1. 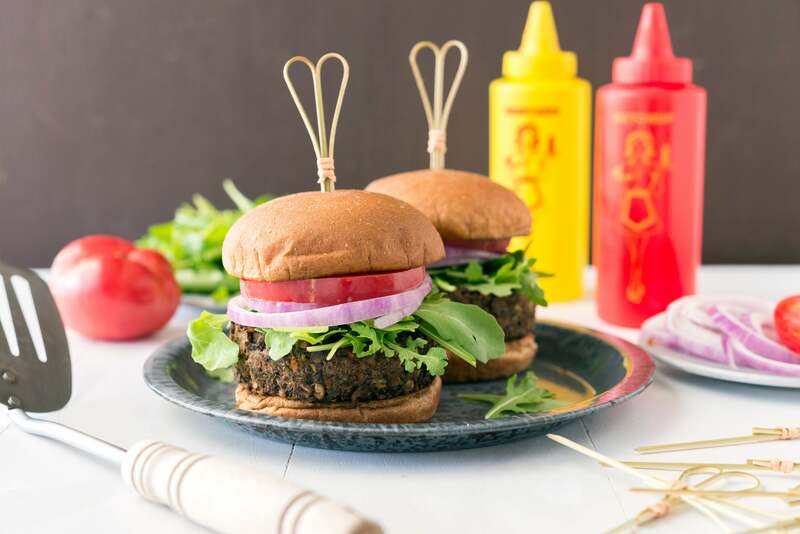 Embrace the plant-based meat optionsThere are incredible options out there, including Veestro’s Veggie Burger, that are perfect for a meat-free barbecue, especially for those new to plant-based food. You can get everything from burgers, hotdogs, sausages, and more. Make it even healthier with sprouted whole grain buns. Top with vegan cheese slices and barbecue sauce for an extra kick. 2. Styling is everythingRegardless of how exotic a food item is, people are suckers for beautiful presentations. Let your inner Martha Stewart come alive and hit up the party store for colorful cups, plates, and napkins. Garnish dishes with cilantro and diced tomatoes. Dot and drizzle platters with bright sauces for a gourmet effect.3. Utilize leftovers - make veggie kebabsThis is a perfect way to use up veggies you have lying around. Chop into large chunks and load them up on kebab sticks. A mouthwatering combo includes zucchini, mushrooms, eggplant, bell peppers, tomatoes and onions. As a bonus, add in chunks of tofu as well. Season the kebabs with olive oil, pepper, smoked paprika and salt. Turning frequently, cook for about 10 minutes until they are completely cooked and just a little charred.4. Hummus! If nothing else, have the hummusPeople are creatures of habit. Popular foods like hummus will be easy to recognize and instantly make guests more comfortable. Try doctoring it up by adding chopped red peppers and grape tomatoes (halved) layered on the top. Hummus with veggie sticks. Hummus on kebabs. Hummus on whole wheat tortilla chips. Hummus spread on a veggie burger bun. You can’t go wrong with a big platter of pretty hummus.5. Finish with fruitFruit screams summer! What it doesn’t scream is “welcome to my vegetarian party!” It works for everyone, not just your plant-loving friends. Grill some peaches and stock up on watermelon, cantaloupe, grapes, blueberries, raspberries and strawberries. Style the colorful assortment in a large glass bowl and top with grilled peaches-the rainbow of colors and the sweet aroma will make it even more thrilling.For drinks, try sprucing up water with orange slices, lemon, mint leaves and ginger. Take it up a notch and make frozen daiquiris with fresh fruit and ice. Finish with tiny umbrellas and you got yourself a real party!